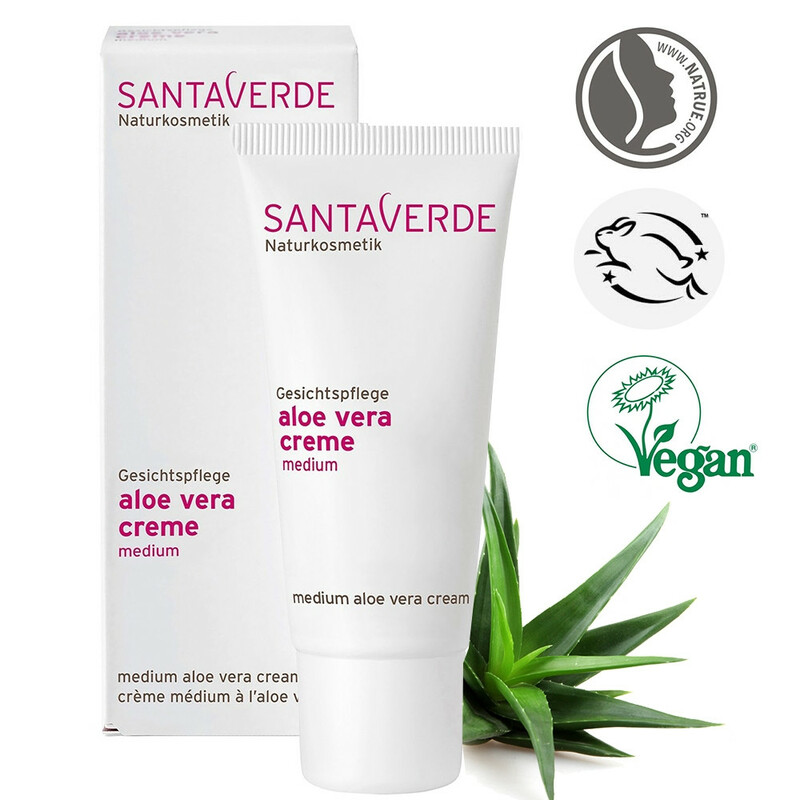 This classic cream, made from pure Aloe Vera juice and valuable plant oils from grape seeds and avocado fruits, provides your skin with natural moisture and aids regeneration. Day and night care for normal and sensitive skin. Ideal skin: Perfect for normal and sensitive skin. Ingredients: Aloe Barbadensis Leaf Juice*, Cocos Nucifera Oil*, Sesamum Indicum Seed Oil*, Persea Gratissima Oil*, Cetearyl Alcohol, Alcohol*, Glycerin, Prunus Amygdalus Dulcis Oil*, Butyrospermum Parkii Butter*, Hippophaea Rhamnoides Fruit Extract*, Vitis Vinifera Seed Oil*, Sodium Lactate, Myristyl Alcohol, Glyceryl Stearate, Lippia Citriodora Leaf Extract*, Sodium Cetearyl Sulfate, Sodium Hyaluronate, Tocopherol, Helianthus Annuus Seed Oil*, Ascorbyl Palmitate, Sodium Phytate, Silver Sulfate, Levulinic Acid, Sodium Levulinate, Parfum**, Limonene, Linalool, Citronellol, Geraniol, Citral, Benzyl Benzoate, Coumarin.